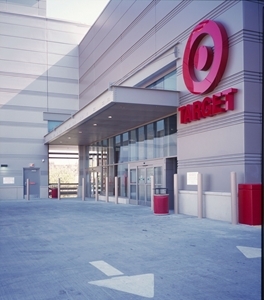 On March 19, United States-based retail giant Target will be opening two stores in Toronto. According to Torontoist, the stores will be located at the Centrepoint Mall and East York Town Centre. A third one will open its doors on March 28 at Shoppers World Danforth. Business managers who need to stock up on office supplies for their companies should check out any of the Target stores. Managers who have too many office supples and not enough space might want to consider renting a Toronto business storage space to hold the extra items. John Morioka, Target Canada's senior vice president of merchandising, said he and his team decided to open 124 locations throughout Canada in March to make sure they were prepared for what was to come, according to the Toronto Star. "We definitely were slammed," Morioka said. "We thought that there would be an initial bump and what I would say is that the bump has not levelled off to the degree that we thought. That has probably been the most surprising part of it, and we haven't been able to recover."